4 JACKS WILL LIFT WELL OVER 5500Lbs. IN THREE SECONDS! Application: Universal. Laser cut Roll Cage mounting bracket kit supplied. 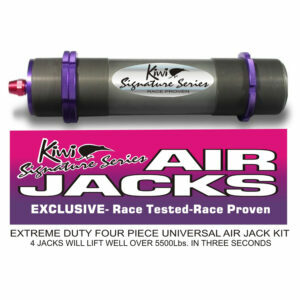 “Kiwi Signature Series” With so much depending on your car why settle for inferior un tested parts that you know will only let you down. Get quality, real parts and a Complete Package that is race tested, and race proven, will take whatever you can throw at it, and all at a Great price! from guys who are in the game that you know and trust. All these parts are built using spherical rodends (spherical “uniball” bearings in the LCA) with track-grade, self-lubricating Teflon lined bearings these parts have zero maintenance. Fully rebuildable for dependable use whether you’re just city driving or tearing around the track in a time attack challenge. Get Superior control, superior life and superior performance. We even provide an adjustment tool to make those minor adjustments easier. 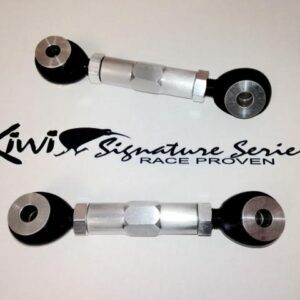 Introducing our new “Kiwi Signature Series” Rear Toe Links. 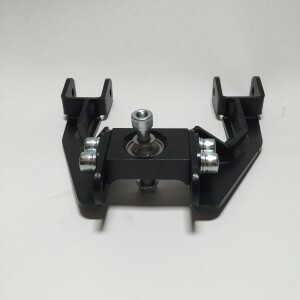 Toe settings and camber angles are critical in achieving the ultimate in your cars handling.The correct suspension setup involves more than just ride height, it always requires having the corrected camber angles, and proper toe settings as well. Having incorrect toe settings will create a unwanted over/under steer condition. The Kiwi Signature Series Rear Toe Links will help you fix this problem and also eliminate the sloppy rubber bushings in the process. 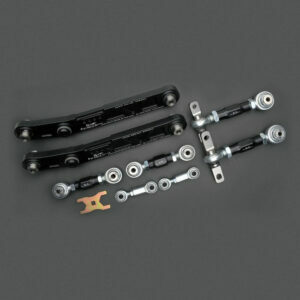 Once again, working closely with manufacturers and our hands on race team drivers we have come up with a race proven rear lower control arm design that combines function with style and delivers rock-solid performance for mild to extreme suspension setups. 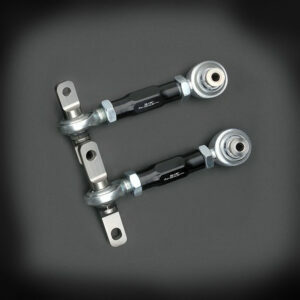 The rear LCA plays an important handling role in any modified suspension system. Our manufacturers concentrated on areas that others disregard while adding features not seen in competitors products. 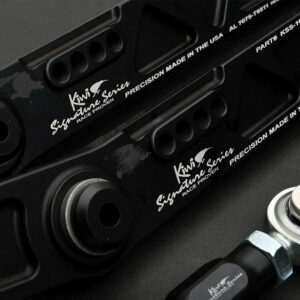 Introducing our “Kiwi Signature Series” Competition Camber Kit. 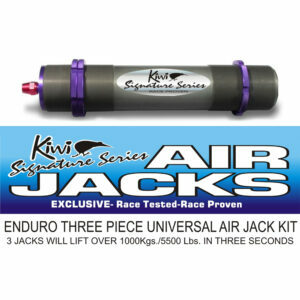 Get the ultimate “contact patch” of rubber between you and the track. Camber is the most important alignment angle, without the proper camber settings, you will never acieve the ultimate in handling. Being able to tune your suspension can make a huge difference, whether you’re looking for proper alignment for your custom set up so your tires don’t get chewed up all the time in regular city driving, or if you want to dial-in your suspension to cut a few seconds off your lap time. These Race tested and Proven, patent pending Rear Camber Links use track-grade, self-lubrcating teflon lined spherical rod ends with zero maintenance that provide superior performance over polyurethane and rubber bushings. With nothing to bind or blow out.. We designed these to be better than anything else on the market and to stand up to the rigorous demands of a serious track/street car. Working closely with PCI, using Kiwi’s Championship winning JDM DC2 #66 Integra as a test bed, we designed these arms from the ground up using the latest 3d cad programs our main goal was to produce a high qualitycontrol arm that has proper clearance for positive castor offsetting. A Laser cut fabricated design is a great option since its light weight, stiff, and has a very low profile. Unlike any tubed style arm out there our arms are uniquely laser cut from flat steel, welded and reinforced for strength, allowing them to be bolted to the slider box at an angle parallel to the shock tower for better clearance.